Everywhere you look you can find someone promising great results with weight loss. From the latest fad diet to the newest workout programs, there are hundreds of things that can aid you in your quest to lose weight. But most will agree that the best thing that you can do to lose weight is doing something that you enjoy. Because if you don’t enjoy what you are doing you probably aren’t going to stick with it. Let us present to you a weight loss aid that everyone is sure to enjoy…your hot tub. That’s right, the latest research is showing that soaking in your hot tub on a regular basis can significantly help women as they work to shed that extra weight. The University of Oregon recently conducted research on 6 women with Polycystic Ovarian Syndrome (PCOS) who were also overweight. The women soaked in a hot tub for at least an hour 4 times a week over a two-month period to see what the effects would be on their condition. Samples of fat tissue were assessed at the beginning and the end of the study with results that were quite encouraging on the weight loss front. The results showed the typical benefits of hot tubbing like, reduced blood pressure, improved blood flow and improved heart rate. However, they also showed that the women had decreased inflammation and improved insulin sensitivity. That equates to great things in the world of weight loss. So how can a simple hot tub soak bring about all of these health benefits? The responsible party is a little something that is referred to as “heat shock” proteins. Soaking in hot water increases the production of these “heat shock” proteins. These proteins increased in the fat tissue throughout the study causing decreased inflammation. The protein also works to repair damage that has been caused in insulin receptors which leads to improved insulin sensitivity. Decreased inflammation and increased insulin sensitivity within fat tissue equals a great environment for weight loss. Reading through research findings can be overwhelming, so let’s break it down, what does all of this mean for you? Basically, it means that if you are a woman who is looking to get rid of some excess weight, you can greatly improve your weight loss efforts by enjoying your hot tub for at least an hour a day four times a week. It’s as simple as that. Once you have made the effort to get in the hot tub, your body systems will take over from there. It may sound too good to be true, but if you are familiar with all of the research surrounding the amazing benefits of hot tubbing, you probably aren’t surprised that weight loss is among those benefits. The journey to weight loss is certainly not an easy one. Adding a hot tub to your weight loss regimen is one way that you can make the journey a little bit easier and a whole lot more enjoyable. 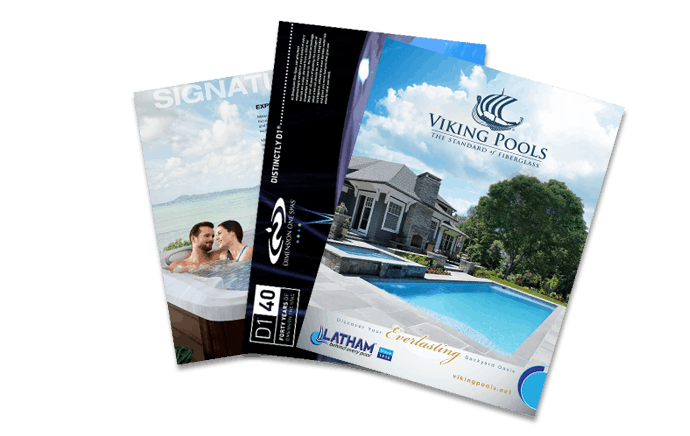 Come see us at our Aqua Pools’ showroom to see firsthand the greatselection of hot tubs that are sure to put the fun back into weight loss.